Netflix is the leading premium streaming solution in the world thanks to its varied library of content and the fact that it is available pretty much everywhere. In 2016, Netflix launched its service globally, offering people in most countries, the chance to access the service. However, there are a few places where you won’t be able to watch Netflix and China is one of them. The strict internet blocks that are in place in China, have affected very popular websites including Facebook, Twitter and YouTube. But, in the case of Netflix, the reason why people can’t access the streaming platform in China is not related to censorship. Netflix is not offering its service in China yet, but it seems like it is still working to be able to launch it there in the near future. In the meantime, if you are in China and try to access Netflix, you will come across blocks. This is because Netflix uses geo-blocking technology to check the IP address and location from where someone is trying to access the website or apps. If it its is detected that you are located in a country where Netflix is not supported, you will be prevented from using the streaming service. However, that doesn’t mean that people in China haven’t found a way to get around the blocks. In fact, some reports indicate that millions of people access Netflix every month from countries where the service is not officially supported. They have been able to overcome the restrictions with the help of a VPN. VPNs or Virtual Private Networks have become very popular and every year, more and more people are using them to bypass geo-blocks and defeat censorship. Apart from being an effective solution to access the content that you want, even if it is blocked in your location, a VPN offers protection for your privacy. It uses encryption to secure your online traffic and prevent the government, hackers and your ISP from seeing what you do when you are connected to the internet. In China, VPNs have become the favorite option to bypass the Great Firewall of China, which blocks popular websites like YouTube, Facebook and Twitter. VPN services are not only effective when it comes to bypassing censorship, they also allow users to bypass geo-blocks. When you use a VPN, you can disguise your real location by connecting to a server located somewhere else. For instance, if you connect to a server in the United States, you will appear as if you were in that country. This means that when you access Netflix, the platform will think that you are connecting from the US, which will give you access to the library of content in that location. If you are in China and want to watch Netflix, you can use a VPN service to mask your location and bypass the geographical restrictions. One thing to consider is that since China implements strong restrictions on the internet and the government is aware of the popularity of VPNs as a way to circumvent the Great Firewall, some measures have been implemented to prevent the use of VPNs. As a result, not all VPN providers are effective in China. In order to be able to bypass censorship and the geo-blocks that stop you from accessing Netflix, it is important to get a a VPN that offers advanced technology to defeat any restrictions. While there are some free VPNs available, most of them are not reliable and don’t work well. It is unlikely that you can overcome blocks in every case, not to mention that the majority of free VPNs come with speed limits, meaning that they are not the best choice to stream content. On the other hand, a high quality, premium service allows you to enjoy all the advantages of a VPN. You will be able to enjoy strong security and defeat restrictions, even in China. 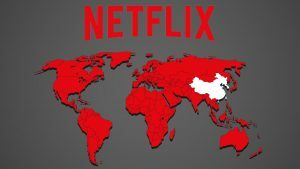 Before choosing a VPN to watch Netflix in China, it is important to check that the provider has servers in the country that offers the content that you want. Netflix’s library is different in every country and some locations offer more content than others. In general, the US version of Netflix offers a more extensive and varied selection than other versions. This is why most people want to access Netflix as if they were in the United States. Another aspect that you need to consider is speed. You need a VPN service that is fast enough to allow you to stream content smoothly. Last, but not least, you need a VPN that works in China. As previously mentioned, the Chinese government is cracking down on the use of VPNs and some services are not effective there. However, there are still good options available and below you will see our recommended VPN services to watch Netflix in China. ExpressVPN has over 1,000 servers in over 90 countries, which gives you a lot of flexibility when it comes to choosing a location to connect to. This VPN provider is known for offers amazing speeds and it is also an effective solution to bypass blocks thanks to its advanced technology. ExpressVPN is one of the few providers that is capable of getting around Netflix’s geo-blocks and it is constantly updating its network to ensure that users can defeat restrictions and enjoy their favorite content. ExpressVPN also offers strong security to ensure that your data is protected against online threats. They don’t keep logs of your online activities. If you want to access Netflix’s US library, you can connect to a ExpressVPN server in Los Angeles as this is the most convenient option for China. VyprVPN is another solution that still works in China and that will allow you to enjoy access to Netflix with great speeds. They have servers in over 70 locations around the world and it offers advanced technology to bypass restrictions. Thanks to the exclusive Chameleon protocol, your VPN traffic is disguised as standard HTTP traffic, which makes it practically impossible to block. You will be able to defeat firewalls and Deep Packet Inspection effectively. VyprVPN is in charge of its own network of servers, meaning that it has greater control over the speed and performance of the service. No logs are kept of your online traffic. Once you select your favorite VPN service, you can sign up for an account (both providers offer monthly and yearly plans) and download the VPN client. After installing the VPN in your device, you can run it and connect to the server of your choice. Both ExpressVPN and VyprVPN have servers that allow you to bypass Netflix’s geo-blocks, but if you can’t find the right one, you can reach the customer support for assistance.